The weekend isn’t through with you yet. 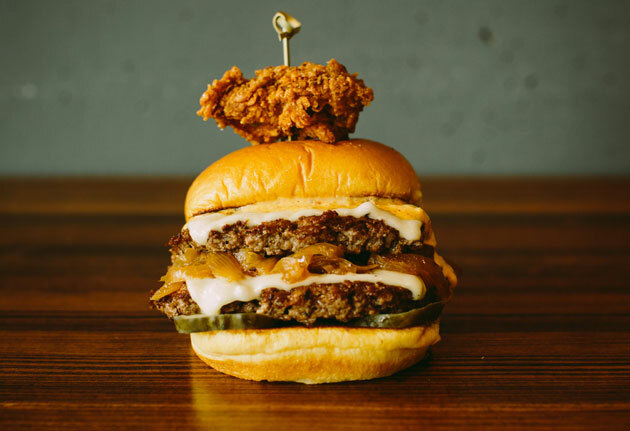 Big news: it’s Farm Burger’s birthday. Okay, not big news. Except for this part: all day today, $1 will net you things like sliders (the beef cheek and regular kind), onion rings, Terrapin Rye drafts and cans of Genesee Cream Ale. Don’t forget to send them a card. If you haven’t been to MODA yet, we’re going to suggest tonight. Because that’s when you’ll be guided through five decades’ worth of vintage and contemporary Italian motorcycles, glass of red in hand, while a Stanford professor of design spins anecdotal tales about each one. If anyone knows their Italian bikes, it’s Stanford professors. There’s a street party this weekend. You know, beer, King of Pops, bands, DJ... that kind of thing. But the DJ will be playing swing music. And that band, equally swingy. So you should probably head out there and get all Boardwalk Empire. It’s the right thing to do. If (and only if) you find yourself near Piedmont Park this Saturday, you may want to pop into the Nook. Partly for the $5 Manhattans and post-anniversary party. But mostly because a very petite, very lovely brunette will be eating. Competitively. Against two Samoan GSU football players. So yeah, that’s weird.